"After the Cold War had ended, Russia completely lost its weight on the international arena. Its chance to regain lost influence and power is a newly discovered mineral - Siberite. Its deposites are located only on frostbound areas of Siberia. This newly discovered element can be used as very cheap and extremely efficient source of energy. The United States start to act. They use an experimental device to send commandos into distant past. A special forces unit is sent on a one-way trip with a mission to transport the Siberite to the territory of current Alaska..."
Quoted passage does not refer to a new book of Wolfgang Jeschke, who died in 2015, but introduces us to the world of real-time strategy game Original War, published on June 15, 2001. On the 2000 edition of E3 Expo, newest creation of Altar Interactive (later called Altar Games and previously known only from one title) is presented to the public. Virgin Interactive studio, established in 1981, acknowledges in 2001 that its time is running up, and it speeds up the release of its last titles - including Original War. In 2002 they release their last product and only a year later they disappear from the market. It was then that Virgin Interactive is sold to Titus Software, and in 2005 the project is definitely closed and both companies are never heard of again. As well as their final projects. It was this story that had the biggest impact on the further fate of our game. Original War project was officially translated into as many as 9 languages: Czech, Polish, English, French, German, Italian, Spanish, Russian and Japanese. According to the original plan, the game was to be based on three story-driven campaigns, full-blown multiplayer mode - based on GameSpy Arcade client - and skirmish mode (fight against AI players). However, under the threat of bankruptcy and the possibility that it won't be published at all, it was delivered on the market with two of three campaigns and with multiplayer mode without AI players. Even so, according to the critics, the game features good storyline, original mechanics (eg. character development system, inspired by RPG games) and excellent dubbing - not only Polish! In Polish version - which, according to many, was the most climatic of all, which is not a common occurance - the game was dubbed eg. by. : Jarosław Boberek, Marek Barbasiewicz, Jacek Braciak, Ilona Kucińska-Boberek, Mieczysław Morański, Andrzej Precigs, Paweł Szczesny, Brygida Turowska-Szymczak, Piotr Warszawski, Andrzej Blumenfeld, Andrzej Butruk oraz Rafał Maćkowiak. French dubbing - highly rated as well - was made by actors who previously dubbed Matrix movie. English dubbing, although in the ears of Europeans it deviated from the local versions, was considered by native speakers as climatic and similar to old war movies. The game was very well rated, among others, in Internet media. In 2001 access to the Internet was not as common as it is now, and the majority of people were accessing it with slow modems - paying for every pulse I remember those times myself, when we were spending a lot of time saving webpages on floppy disks, to read them later at home... Saving on every pulse, people were not looking for thousands of reviews to compare a game. It was easier to get if from a friend and test it by yourself, and the majority of people didn't have access to the Internet at all.. gaming magazines and TV shows were much more popular back then. 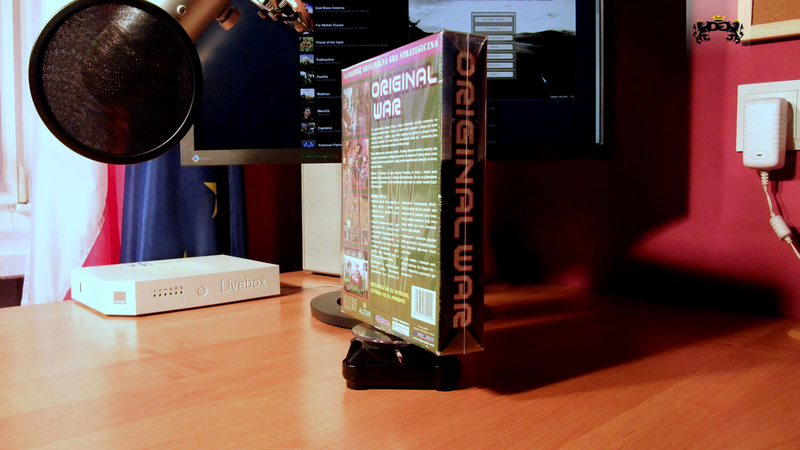 Unfortunately, Original War was not featured in them very often, outside of Poland and Czech Republic, because declining Virgin Interactive was not able to give it proper publicity. The game was simply left to itself. In Poland, the situation looked a bit different, because in our country the distribution of the game was taken care of by CD Projekt, who provided at least a basic advertising. Thanks to low publisher cost, it was everywhere, and its price was affordable enough, that no one even thought about getting it through other means. CD Projekt also took care of advertising this edition in other magazines, de facto advertising the game itself. It had a tremendous impact on the "success" of the game in Poland, compared to other countries, where it was not advertised at all, and released in normal boxes with higher price than in our country - and only in video game shops. Everything thanks to a good - although conducted with limited resources - marketing strategy of CD Projekt. In addition to this edition, tha game was also released on May 22, 2002 as part of the eXtra Klasyka series and also in magazines: in November issue of Świat Gier Komputerowych, on October 24, 2002 and on May 20, 2004 in Play PC CD Rom, issue 6/2004. The game also appeared in Tanie Granie series, but we never have the chance to aquire this edition. Its strength laid, above all, in a very original combination of RTS genre and RPG elements. Very unique and well-developed graphics - a combination of 3D graphics and 3D simulated in 2D, the possibility to change the profession of units, focus mainly on human units - which were impossible to rebuild, vehicle modulation, unique weapons, a reward system for the correct execution of missions and very unique and non-linear plot. Based on Wolfgang Jeschke book: "The Last Day of Creation", published in 1981. Works on a first unoficcial expansion for the game, having a form of data disk, started in 2002, thanks to Czech modders of the fan community. The same year, more specifically June 25, 2002, also marks the beginning of the history of OriginalCenter website, founded by Krzysztof Tukiendorf and ran by us with breaks until 2006. 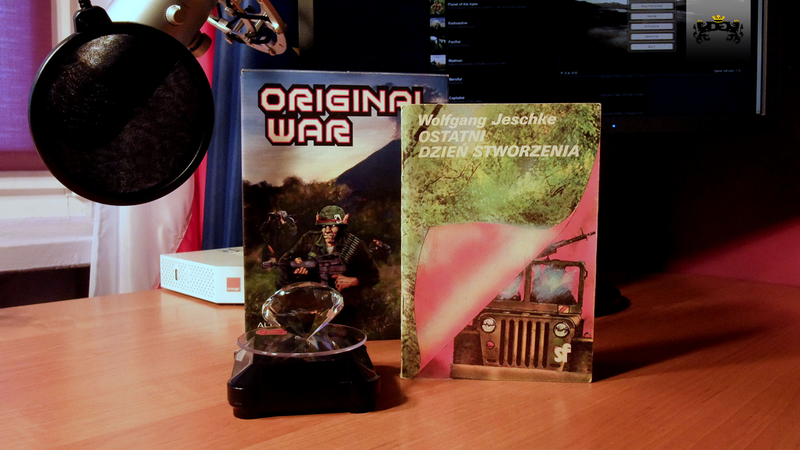 The largest Polish website about Original War at the time. After its closure - feeling lack of a big website about the game, together with Yuri we decided to launch Original-War.net vortal, which is the biggest community of the game to this day. Its premiere took place exactly on February 17, 2006. At the turn of January and February 2005, Stuart Carey wrote to Altar Interactive and asked for the access to the source code of the game, for the purpose of further development. First patch was released in October, and with it came mod support and previously known, basic modding tools, as well as unofficial game support website. It was also then that three companies: Bohemia Interactive Studio, Altar Games and Black Element Software merged, creating Idea Games development group. Apart from Stu, in 2011 one of our administrators, Radzio, was also given access to the source code, what allowed him to support the creation of updates. 2009 was a landmark year for the Original War. It was then when patch 1.09 came out, completely changing the way in which on-line games worked, making the game independent from declining GameSpy Arcade system, creating independent master server, hosted at the beginning by Original War Support, and since the patch 1.12 by Original-War.net website, also providing access to independent ranking system connected with the game and offering the option to register on-line games. Currently Altar Games and Black Element Software operate within Bohemia Interactive and it is this company that now holds all rights to the title. 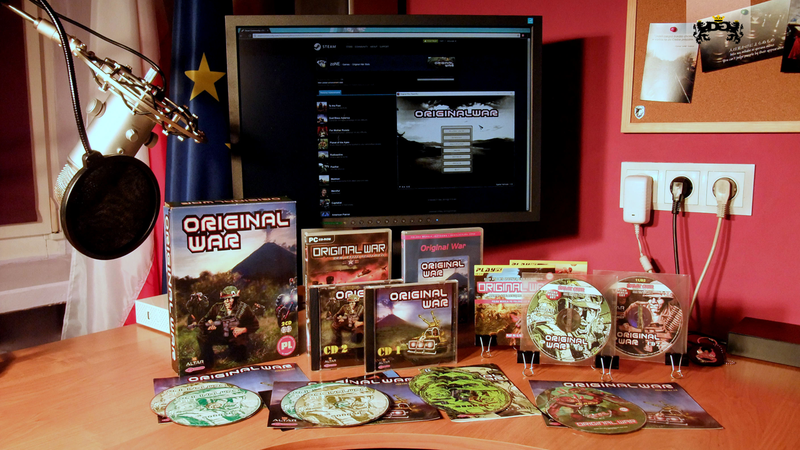 Their first decision concerning Original War was to remove it from well-known GOG website - where they didn't make any profit - and to move the game to Steam in 2014. The authors of the game had plans of creating a second installment - as they mentioned on May 11, 2006, during their only multiplayer session with players. I was then one of the two players that managed to play the game with its creators. It was then that we also learned that the double laser is Vlaaada's original idea. Unfortunately, everything ended up on plans, because it was difficult to find a publisher who would agree to publish a sequel to a game that achieved such a low sales level. The history of Original War was as everyone can see it. According to the marketing mix concept, the elements that hold the most influence on the market are: product, price, distribution and promotion (including advertising). In Poland all of these aspects were fulfilled. In other countries, apart from the brilliant product, all of these elements were unfortunately missing. Despite the good features of the game and our experience from Poland, we are not able to say whether it could have become a blockbuster, had it been strongly advertised from the very beginning - it is rather doubtful. However, we can say with a lot of confidence that if there was any advertisement at all, surely more people would get interested in the game and it would gain more popularity also in other countries. The only thing that is left for us now, is to wait for the second installment of the game, which will be made in 2 million years. And if you are not subscribing to the channel yet, do it, so you don't miss its day of release!